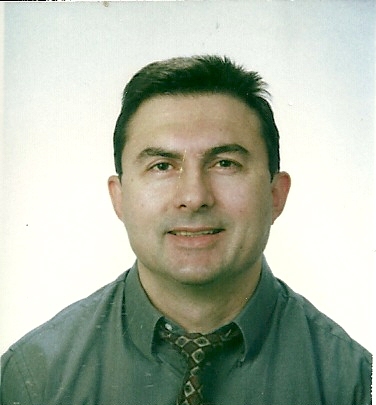 Dr. Borislav Alexiev was born and raised in Sofia, Bulgaria. He earned his M.D. from Medical University of Sofia in 1984. For extraordinary abilities in cancer research, he was granted the status of citizenship in the USA.Dr. Alexiev completed a Pathology Residency Program at the Department of Pathology, University of Maryland Medical Center, and a Surgical Pathology Fellowship at the Department of Pathology, Johns Hopkins Hospital. He is certified in anatomical pathology by the American Board of Pathology. Dr. Alexiev also served as assistant professor at the Department of Pathology, Roswell Park Cancer Institute, and is currently assistant professor at the Department of Pathology, University of Maryland Medical Center. 1. Alexiev B. Michailov I. Malignant oncocytoma of the mammary gland. Zentralblatt fur Allgemeine Pathologie und Pathologische Anatomie 1989; 135(4):357-6. 2. Michailov I. Alexiev B. Oncocytic paraganglioma of the carotid body. Zentralblatt fur Allgemeine Pathologie und Pathologische Anatomie 1989;135(4):363-7. 3. Alexiev B. Topov J. Metastasis from tumor to tumor. Zentralblatt fur Allgemeine Pathologie und Pathologische Anatomie1990; 136(4):323-7.
. 4. Alexiev B. Michova Z. Michailov I. Takov R. Immunohistochemical and electron microscopical study of the myoepithelium in mastopathy and carcinoma of the mammary gland. Zentralblatt fur Allgemeine Pathologie und Pathologische Anatomie 1990;136(5):427-38. 5. Michailov I. Popov A. Valkov I. Alexiev B. Non-Hodgkin's lymphoma of the thyroid gland. Morphologic and immunohistochemical findings in 2 cases. Zentralblatt fur Allgemeine Pathologie und Pathologische Anatomie1990; 136(5):455-8. 6. Topov J. Georgiev T. Alexiev B. Diffuse malignant mesothelioma of the pericardium. Zentralblatt fur Pathologie 1991;137(2):164-6. 7. Alexiev B. Popov A. Carcinosarcoma of the breast. Immunohistochemical and ultrastructural studies. Zentralblatt fur Pathologie 1992;138(1):71-4. 8. Alexiev B. Valkov I. Popov A. Immunohistochemical evidence of vimentin in fibrocystic breast disease and mammary carcinoma. Zentralblatt fur Pathologie 1992;138(4):284-8. 9. Alexiev BA. Valkov IN. Popov AA. Marinov VS. Immunocytochemical detection of carcinoembryonic antigen in fine-needle aspirates from patients with diverse breast diseases. Diagnostic Cytopathology 1993;9(4):377-82. 10. Schmitt FC, Alexiev BA. CEA content in breast lesions. Diagnostic Cytopathology 1994; 11(3):307-8. 11. Alexiev B. Boschnakova Z. Prokopanov C. The apocrine carcinoma of the breast. A cytological, immunohistochemical and ultrastructural study of 6 cases. Zentralblatt fur Pathologie 1994;140(2):129-34. 12. Alexiev BA. Glycogen-rich clear cell carcinoma of the breast: report of a case with fine-needle aspiration cytology and immunocytochemical and ultrastructural studies. Diagnostic Cytopathology 1995;12(1):62-6. 13. Christova S. Meinhard K. Mihailov I. Alexiev B. Three cases of primary malignant melanoma of the alimentary tract. General & Diagnostic Pathology 1996;142(1):63-7. 14. Alexiev BA. Localization of p53 and proliferating cell nuclear antigen in fine-needle aspirates of benign and primary malignant tumors of the human breast: an immunocytochemical study using supersensitive monoclonal antibodies and the biotin-streptavidin-amplified method. Diagnostic Cytopathology 1996;15(4):277-81. 15. Alexiev BA. Bassarova AV. Popovska SL. Popov AA. Christov CZ. Expression of c-erbB-2 oncogene and p53 tumor suppressor gene in benign and malignant breast tissue: correlation with proliferative activity and prognostic index. General & Diagnostic Pathology 1997;142(5-6):271-9. 16. Alexiev BA, Xiaoqing L, Sun CC, Brenner, D. The Meckel-Gruber Syndrome: Pathologic manifestations, minimal diagnostic criteria, and differential diagnosis. Archives of Pathology & Laboratory Medicine 2006;136(8): 1236-1238. 17. Alexiev BA, Alaish SM, Sun CC: Testicular juvenile granulosa cell tumor in a newborn: Case report and review of the literature. International Journal Surgical Pathology 2007;15(3): 321-325. 18. Alexiev BA, Sailey CJ, McClure SA, Ord RA, Zhao, XF, Papadimitriou, JC. Primary histiocytic sarcoma arising in the head and neck with predominant spindle cell component. Diagnostic Pathology 2007; 2:e7. 19. Alexiev BA, Drachenberg CB, Burke, AP. Thymomas: a cytological and immunohistochemical study, with emphasis on lymphoid and neuroendocrine markers. Diagnostic Pathology 2007;2:e13. 20. Alexiev BA, Drachenberg CB, Papadimitriou JC: Endocrine tumors of the gastrointestinal tract and pancreas: Grading, tumor size and proliferation index do not predict malignant behavior. Diagnostic Pathology 2007;2:e 28. 21. Alexiev BA, Wang W, Ning Y, Chumsri S, Gojo I, Rodgers WH, Stass SA, Zhao XF: Myeloid sarcomas: a histologic, immunohistochemical, and cytogenetic study. Diagnostic Pathology 2007;2:e42. Castellani RJ, Alexiev BA, Phillips D, Perry G, Smith MA. Microscopic Investigations in Neurodegenerative Diseases. In: Modern Research and Educational Topics in Microscopy. Edited by Mendez-Vilas A. and Diaz J. FORMATEX, 2007: 171-182. 5) 2014, Award for Best Attending Pathologist Teacher in Anatomic Pathology, Department of Pathology, University of Maryland School of Medicine Residency Program.